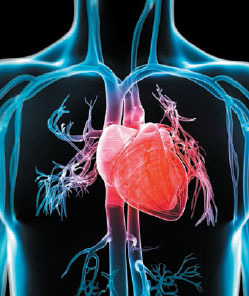 Cardiovascular disease (CVD) is an umbrella term for all diseases of the heart and blood vessels. Cardiovascular disease (CVD) is an umbrella term for all diseases of the heart and blood vessels. It includes coronary heart disease, peripheral arterial disease, stroke and transient ischaemic attack. CVD is the leading cause of death in England and Wales, accounting for almost one third of all deaths. In September, the National Institute for Health and Care Excellence (NICE) published new quality standards recommending that adults whose ten-year risk of CVD is 10% or higher should be given advice on lifestyle changes before being offered statin therapy. Stopping smoking, increasing physical activity and maintaining a healthy diet may reduce a person’s CVD risk without the need for drug treatment, says NICE. Last year, NICE recommended wider use of statins to lower the risk of CVD, reducing the threshold for ten-year risk from 20% to 10%. This guidance also recommends discussing the benefits of lifestyle modification first. The symptoms of CVD may go undetected for many years, with the first sign being angina, a cardiac event or stroke. Symptoms of myocardial infarction include chest pain, shortness of breath, feeling weak or light-headed and an overwhelming feeling of anxiety. Key symptoms of stroke include facial droop on one side, inability to lift the arm and keep it raised, and garbled speech. Many people with peripheral arterial disease also have no symptoms, while some develop a painful ache in their legs when walking, which usually disappears after a few minutes’ rest. Risk factors for CVD include smoking, high blood pressure, high blood cholesterol, being physically inactive, being overweight or obese, diabetes, a family history of heart disease and certain ethnic backgrounds. Men are likely to develop CVD at an earlier age than women and the risk of CVD increases with age. CVD is also strongly associated with low income and social deprivation, and there are higher rates in the north of England than the south, says NICE. Adults aged under 85 with an increased risk of CVD should be offered a full formal risk assessment using the QRISK2 programme (see Find out more), says NICE. Nurses as well as GPs can use this online assessment tool. ‘One of the most important roles for nurses is patient education and support. Patients need to understand their individual risk of CVD and how they can reduce it. This includes maintaining a healthy weight, stopping smoking, getting plenty of exercise, following guidelines on alcohol intake, and controlling hypertension and cholesterol and, if they are diabetic, blood sugar levels.